Two of President Trump’s “nice and new and smart” cruise missiles were recovered non-detonated by the Syrian Armed Forces on April 14, one day after the US, the UK and France fired more than 100 rockets into Syria according to the Russian TASS new agency. 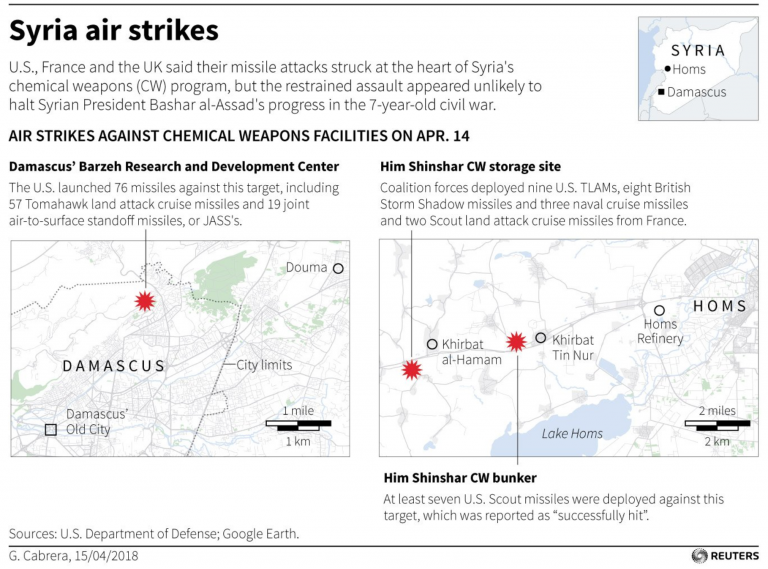 The U.S.-led missile strike targeted what they assumed were Syrian chemical weapon facilities in response to the April 07 gas attack in the Syrian city of Douma. And now the reverse engineering of America's "new and smart" technology can begin: an unnamed source within the Syrian military confirmed to TASS that the cruise missiles were sent to Russia on April 18. “Two cruise missiles that were not exploded during the US missile strike in Syria on the night of April 14 were discovered by the Syrian military, both missiles in good enough condition the day before yesterday [April 17] were transferred to the Russian military,” the source said. “Some are saying the missile with the red tip on the right is a Russian R-40 band I’ve come to agree. But Pentagon trolls are trying to use this to claim Syria didn’t shoot down any missiles, how do they explain the French, English & American dates on these missiles?” she said. However, Pentagon officials have denied all claims that their “nice and new and smart” cruise missiles were shot down. 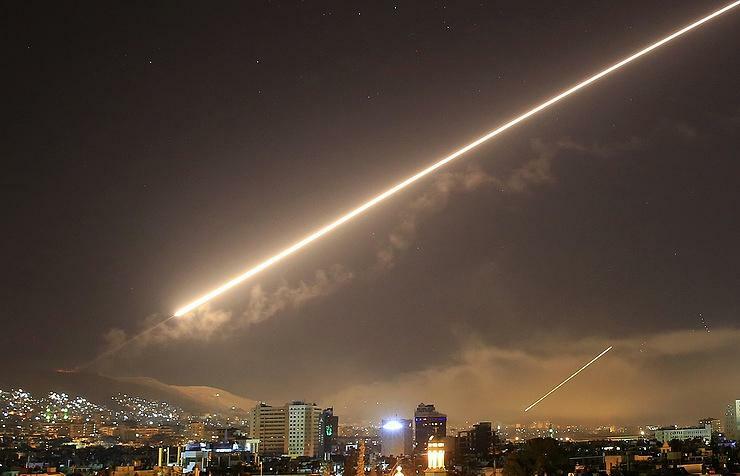 Officials said that missiles successfully hit all targets, while the Ministry of Defense of the Russian Federation, Syrian air defense claimed they shot down 71. As discussed previously, while not enough to prompt a retaliatory escalation, the airstrikes on Syria angered Russia, who warned that there would be consequences. As Bloomberg wrote, one of them was spelled out: The Kremlin said it might supply its Syrian ally with state-of-the-art air defenses. “If the prospect rings alarm bells among President Bashar al-Assad’s enemies, they’re likely to be loudest in Israel, not the U.S. Israel carries out airstrikes in Assad-controlled Syrian territory much more frequently than the U.S., as it seeks to prevent a military buildup near Israeli borders by Assad’s other key backer, Iran. Israeli analysts and former defense officials say there’s only one likely response from the Jewish state if the S-300 surface-to-air missile systems are delivered to Syria: An immediate attempt to blow them up. And while Trump praised his billion-dollar missile strike in Syria as “Mission Accomplished" - famous words have usually been associated with the beginning of a major US military fiasco - the question is whether the US just successfully delivered, on a silver platter, the latest US cruise missile technology to the Syrian government, and thus, to Russia.